FlightSafety International is designing and starting to manufacture full flight simulators and advanced training devices for the A350 XWB. “Designing and developing Level D qualified simulators and other advanced training devices for the Airbus A350 aircraft will enable us to fully support the near and long-term training requirements of airlines that will operate the aircraft around the world. 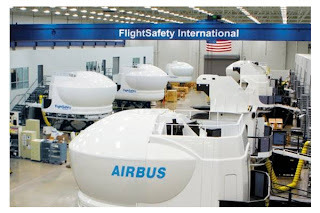 FlightSafety provides the high fidelity devices that airlines require and deliver them in accordance with their scheduling requirements,” said Rick Armstrong, Vice President, Simulation. The Airbus A350 simulators built by FlightSafety will feature the company’s latest advances in technology including 60” electric motion and control loading technology, newly enhanced VITAL X visual system, and next generation flight instructor operating station. 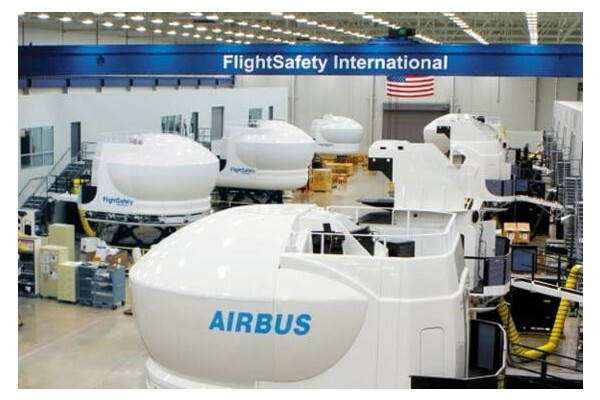 Simulators equipped with FlightSafety’s electric motion and control loading technology offer the highest level of aircraft fidelity, enhanced performance, increased availability, and lower life cycle costs compared to previous-generation devices. They produce less heat, lower levels of ambient noise, and provide a safer environment. VITAL X offers 200 x 40 degree Field-of-View, features continuous global satellite high-resolution imagery, supports hundreds of six Degree of Freedom fully articulated moving models, and is capable of presenting a wide variety of environmental conditions.